I wish I have more time to read all these books that I have planned to read last year. Head on to Litratong Pinoy for more LP entries. 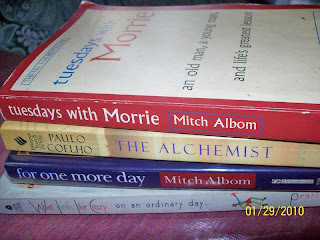 This entry was posted in Uncategorized and tagged books, litratong pinoy on January 29, 2010 by Yami.